The folks at Mombacho Cigars have launched an online merchandise store at mombachocigars.com/shop. It offers products like branded cigar accessories, caps and t-shirts, but not any cigars. Mombacho has plans to expand its selection of merch. For the time being, the store only ships to the U.S. and Canada. Gift giving is gratifying, but it can also be stressful. We found some cool stuff that should tae some of the guesswork out of the process for you, whether you're shopping for outdoorsmen or a friends who likes to drink, smoke, and keep a hand free. Designed to look like Fender’s classic amps, these speakers deliver big, crisp sound, whether you’re playing music at a party or taking phone calls in your office. In optimal conditions, these things have a range of 35 miles. Even when conditions affect that, you can get pretty damn far before you have a problem, making this a great safety tool, whether you’re going off on your own into the wilderness or just looking for a way to keep in touch on casual camping trips. Seriously. How cool is this thing? Part glass, part cigar holder. We’re just mad we didn’t think of it first. 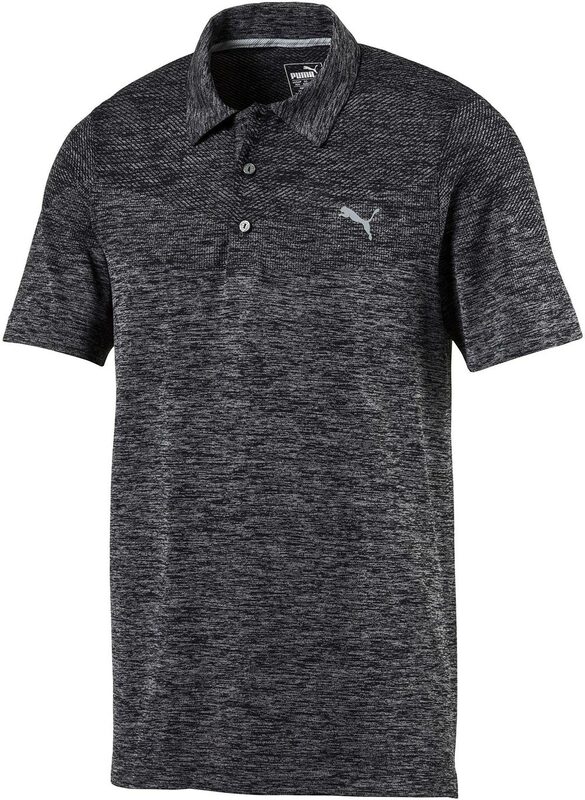 Puma’s evoKNIT fabric and seamless design are made to make the shirt both highly breath- able and highly adaptive, so you’ll sweat less and swing more smoothly. Daniel Winkler has been making knives and other blades for elite warriors for years, and their feedback makes its way into his work. This will cut through all kinds of stuff, and the feeling of holding it in your hands is enough to know it is a durable workhorse. The special edition of the knife we've pictured here is available exclusively through KnifeArt.com. You’re making your way to your ball on the 10th hole of the course when you realize your laces are untied. There’s just one problem: you’re also on your 10th beer, and while you can swing in the general direction of a golf ball, you do not have the finger precision necessary to tie a small knot. Thanks to the people at Puma, this problem is a thing of the past; just turn the disc on the side of the shoe and they tighten even better than regular laces. Smoke in style - Look good when you light up. With some help from friends in the fashion world, including Domenico Vacca and The Lapel Project, we put together three looks for some common cigar activities. Look good when you light up. A deep dive into how cigars are made is the best way to understand what you’re smoking. You’ll want to dress light and be ready for anything, because It’s going to be hot and you’re going to get dirty. You can dress up without looking like a stiff. The prints, patterns and colors here make it clear you’re dead serious about taking it easy. Ditch the monochromatic suit. 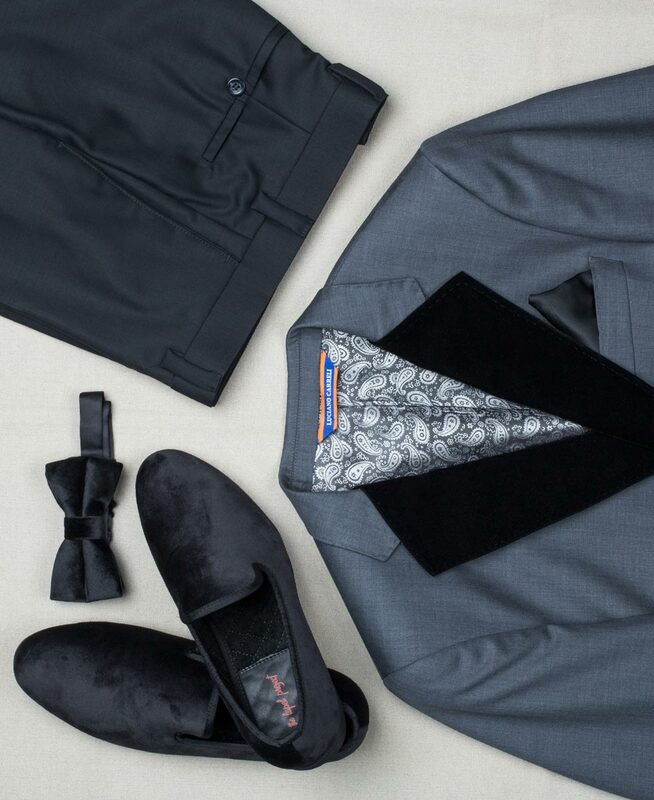 Domenico helped us put together a look to help you stand out without making people think missed a memo. For this last look, we went all in with our friends at Sartori Amici, who also launched The Lapel Project, a company you might have seen them pitching on Shark Tank. With the holidays just around the corner, we thought we’d help you out with the legwork and research that comes with buying gifts. There are items in here for the hairy, the shaven, the fishermen, and the flamboyant drinkers in your life. California’s own Daniel Marshall has built his reputation on quality and reliability. This beautifully understated humidor has a nish you can’t ignore, but which will blend seamlessly with the rest of your decor. Most importantly, though, not many build them as well as Daniel. The full lineup of Schulz & Malley products includes all the things you want to put on your face to lubricate your beard, shave, wash your face, and moisturize. Not every man takes shaving seriously. But if you’re the type who loves the ritual and values the highest-quality tools, this is the way to go. From the head that pivots on a Teflon-coated spring to the PVD coating providing corrosion resistance, OneBlade might be the best shave money can buy. This is a bulldog. He’s made of iron. He weighs 3 pounds. He’s just under 5 inches tall. He’s smoking a cigar. Put the days of opening champagne bottles with just your hands like a loser behind you. Once you uncork some bubbly with this sabre, handcrafted in the Maniago district of northeast Italy, you’ll never go back to the hand- popping ways of your past. Keep about 100 cigars properly humidi ed and ready to enjoy with this mahogany humidor, which has an LED inside for those who like to pick cigars out in the dark. The build quality is no joke, and the fun Tommy Bahama art makes this humidor great for those who like to keep a little more fun in their man caves. Transport, cut and light your cigars in style with these accessories, all featuring a graphic tobacco leaf print. It’s the high quality you expect from Davidoff, at accessible prices. Chris Reeve took performance to the next level for the 25th Anniversary of its Sebenza knife. It has an added nger groove, a more stable washer, and a slightly thicker blade with asymmetrical thumb notches. 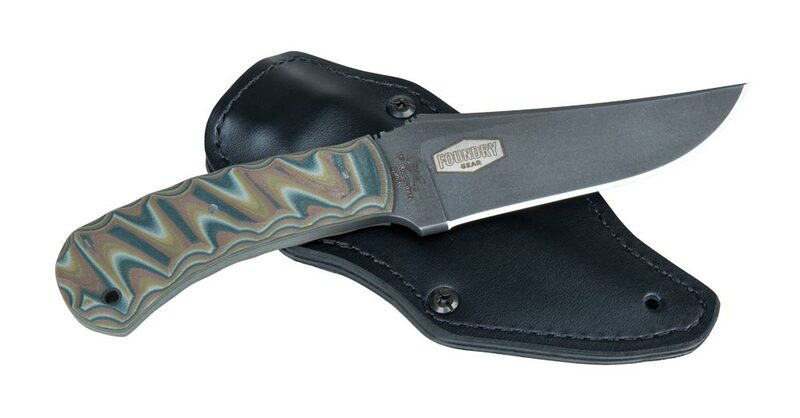 This model also has canvas Micarta inlays to aid your grip. This 3350mAh portable USB charger is waterproof, temperature-proof, dirt-proof and shock-proof. Great for the traveler who can’t afford to have a phone run out of juice. The ultimate cigar coffee table book, the deep research and beautiful photography — covering everything from the world’s best cigar makers to the basics of blends — will keep everyone flipping through, from cigar lovers to non-smokers. This bold acoustic-electric guitar with a built-in tuner combines good looks, playability, and Fender acoustic sound. Whether you’re jamming in your garage or taking the stage, this instrument is a good one to have in your lineup. FireKing humidors, equipped with digital hygrometers and thermometers as well as Boveda humidi cation, are built to protect your cigars from ooding and res. If you have cigars in your collection that are of great monetary or sentimental value, this is how you protect them. It’s the smallest, lightest personal sonar depth nder out there. It syncs with a free app on your smartphone or tablet up to 100 feet away, giving you an edge over the sh below the surface and tipping Mother Nature’s scales for your day on the water. Take your cell phone photography to new heights with this set of lenses that includes a dual Macro/Wide lens and a fisheye lens. Both attach to your phone, opening a new world of possibilities for your pictures. A great addition to your deck or patio furniture, you won’t have to worry about this heavy-duty polymer ashtray getting worn or surviving exposure to the elements. You’d think that , as golf gear technology has become less expensive to produce, we’d be getting more club for our money. The Hot Launch 2 line from Tour Edge might have taken advantage of manufacturing technology to bring what might have been tour-level clubs five years ago to the average golfer at an accessible price. What has changed? Shafts are much better than they were 10 years ago, both in consistency and price. Sure, there are tour shafts that cost $900, but you probably don’t need that level of precision. Add to the techno edge the advances in face technology and materials to achieve a spring-like effect on distance with combined forgiveness. For the last 15 years, Tour Edge has made a name as a player’s club with their fairway woods and hybrids, carried by many players on tour. Those are great clubs that deliver performance for the precision golfer, but they’re not all that forgiving for the recreational golfer. The Hot Launch 2 series has taken the performance aspects of their tour-level products and enabled the average golfer to improve their results with clubs that are easy to hit and custom fit. The clubs are hand-built in the U.S. and come with lifetime warranties, which is unheard of with custom clubs at this price point. Tour Edge incorporated some of their upper-end features into these clubs to make them perform close to their tour counterparts. The hybrids through driver feature a variable face thickness design with a rear sole weight to move the center of gravity within the head for ease of getting the ball into the air. The drivers, and both the adjustable and non-adjustable versions, sport a 460cc titanium, four-piece, forged club head. One recent trend in irons was for clubs to be shaped more like hybrids, which made solid contact a breeze. The Hot Launch2 version of this idea sports many features only available on tour level clubs in the past. Besides custom fitting, the super thin steel face with variable face thickness (why drivers are so long these days) really zings the ball. Their more conventional irons placed an undercut cavity in the back of the club for a higher launch, and also repositioned weight for forgiveness combined with the spring-like effect of the face. Everyone is skeptical of whether a new club will do what the manufacturer says it will, so I went to the local PGA Tour Superstore for club testing. I play enough golf that I know my specifications and average performance with clubs, so it’s easy to compare when I try something on a launch monitor. I started with their adjustable driver, which retails at $199. It was almost as good as, if not better than, my current drivers, which range in price from $350 to $450. Very impressive for a club that is less than half the price. I went to the other end of the spectrum and compared the irons, normally done 6 iron to 6 iron. My current iron set was $900 and performs solidly round after round. The Hot Launch 2 iron got me about the same distance as my custom set. The dispersion — or how far off it was from center — was almost identical to the more expensive iron. And surprisingly, they are about $50 per custom fit iron versus the $110 per club for my current set. If I were on tour, would I play with these clubs? Probably not, as someone would be paying me to play those $900 shafts and the latest club head. Like other golfers, I’m after distance, consistency and the elusive easy-to-hit shot with minimal practice. The Hot Launch 2 products delivered all that at about 45 percent of what I paid for my other custom clubs. I am sure if they were covered with tape I could not tell the difference between the two sets, despite the large price difference. Neil Wolkodoff, PhD, is a Sport Scientist in Denver, Colorado who has worked with golfers over the last 15 years. During free time, he travels to exotic golf destinations to see how golf, culture and local geography mix with cigars in different locales. He has penned articles for Colorado Avid Golfer, Golf Digest, Everett Potter, Travel World and Golf Magazine. In his travels, he has golfed with royalty, tour professionals, the local duffer, and the occasional goat. Every year at Art Basel Miami Beach's Collector's Lounge, we get a chance to see what's new from Davidoff's art initiative. This time around, it was these three beautiful humidors, each designed by artist Lison de Caunes. Tobacco is brought to life (first growing, then aging, then as ash) by her painstaking work laying straw into each box. In all, there are only 40 of these humidors out there, and they're only available at Art Basel events (which are held in Basel, Hong Kong and Miami Beach). There are three days left in the Indiegogo campaign to crowdfund production of the Les Fines Lames cigar knife. A while back, we were contacted by the guys behind Les Fines Lames about the piedmont-style folding knives they were making in France. The kicker: there's a hole in the handle that allows the knife to double as a cigar cutter. Once a sample unit arrived in the mail from France, we began to put it through its paces at Cigar Snob. I even carried the knife around for a couple of weeks to get a sense for just how practical a tool this would be. 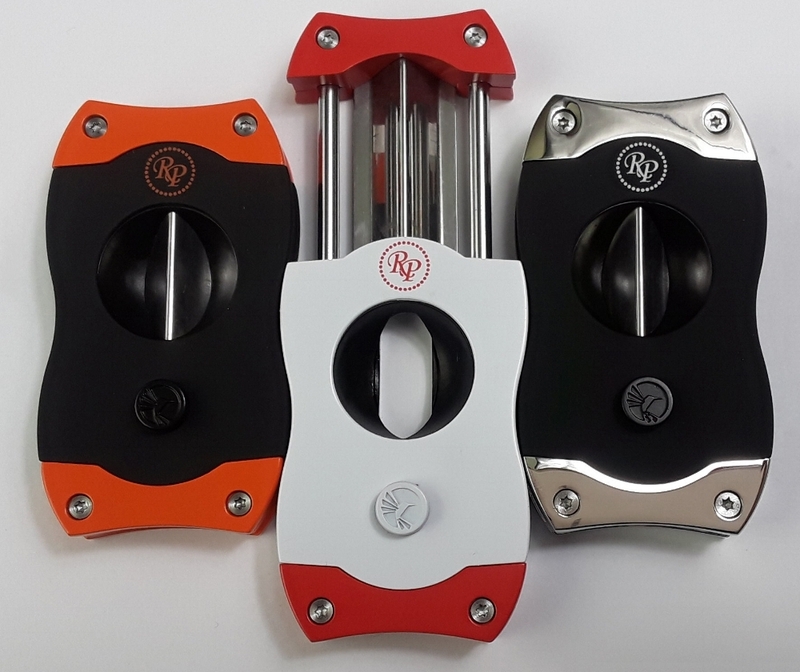 It takes a bit of getting used to, but once you get the hang of this thing, you'll find that it cuts cigars as cleanly as many other cutters on the market. When it comes to other uses, the knife works well, but you should know that there is no locking mechanism here (which is typical for piedmont knives), so you'll want to be extra careful about how you hold and wield the knife. This isn't the tool you want to use if you're, for instance, cutting open lots of boxes in an absent-minded rush. It's great to have a knife that's designed to cut cigars handy. What really sets this knife apart, though, is that it's a unique piece that will start conversations. 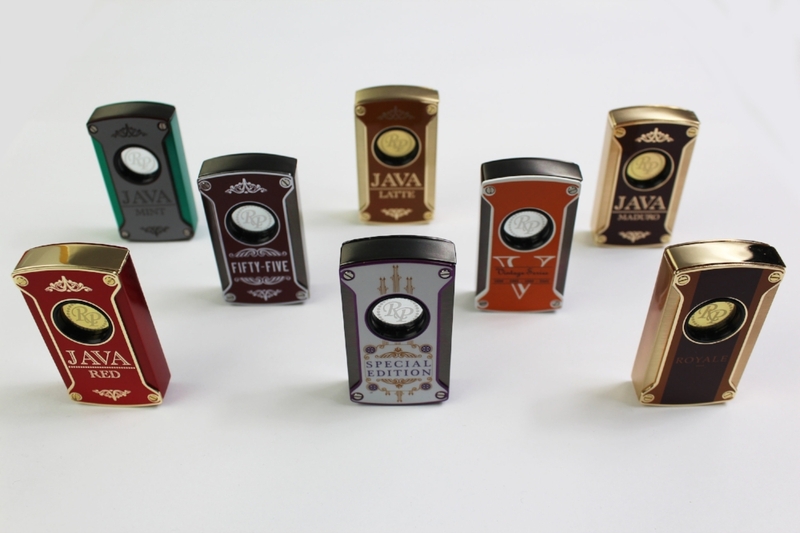 It's a handcrafted, luxury item for smokers with tastes that favor rustic, old-world charm rather than bright shiny finishes or sleek, modern design. As of this posting, there are two days left on the French start-up's Indiegogo campaign. They're halfway to their goal of raising $44,000, with which they'll start regular production of the knives. Les Fines Lames tells us that the knives will retail for $520, but making a contribution of $410 through the Indiegogo page will get you a knife. Not a bad discount. Visit Les Fines Lames' Indiegogo campaign page to learn more about this knife and to get your own (while there's still time). Craftsman and cigar smoker Rainey Van Horne makes pens by hand from his Chattanooga shop. Every writing instrument—from ballpoints with inlaid feathers to fountain pens carved into the shapes of cigars—is a unique beauty. Get up to eight hours of big Bose-quality sound anywhere. Whether you’re grilling in your backyard or smoking on a camping trip, your favorite tunes should always sound their best. Brew Bars are “rustic, dense bars of beer soap” made by Zeb, who served as a U.S. Marine from 2002 to 2010, and his wife Lauren. Choose any three of their 9 varieties. When the Perfect Pairing comes along, will you be ready? Open your beers and punch your cigars with the same handy tool. Made by Leo’s Wisdom Jewelry, this 8mm Grade AA Lapis Lazuli, Deep Orange Coral, and Mint River Stone features Warped’s signature Tobacco leaf in .925 Sterling Silver. Aged in high-quality bourbon barrels, these delicious beans are available in Dark Roast, Light Roast, and Decaf. Keep the conditions in your desktop humidor perfect while using the WiFi attachment to track read the hygrometer and get alerts no matter where you are.